The collaboration is a key step towards Europe's ambition to strengthen ties with China in space exploration, and eventually secure a seat on a future Shenzhou space capsule. "That would definitely be one of the goals we are heading for," Thomas Reiter, the director of Human Spaceflight and Operations at the European Space Agency (ESA), told the Sunday Morning Post. The odds are in his favour. Step by step the central government is opening up its once highly guarded space projects to overseas participants. During the International Astronautical Congress, a huge gathering of space-agency management executives held in Beijing at the end of September, Chinese officials made a concerted effort to "sell" the benefits of China's programme and invite co-operation. Professor Maurizio Falanga, one of the few Western space scientists working in China, has witnessed the changes first-hand. Falanga has a big office in the National Space Centre in the capital's Haidian district. The centre was the cradle of China's first man-made satellite and is now engaged in almost every aspect of China's space endeavours. "I feel as free and comfortable here as in other countries," said Falanga, who oversees the International Space Science Institute-Beijing. ISSI is a non-profit research body with ties to the Chinese Academy of Sciences (CAS) and the International Space Science Institute in Bern, Switzerland. "Of course there are rooms that I cannot enter, but the restrictions are the same in the ESA or at Nasa." 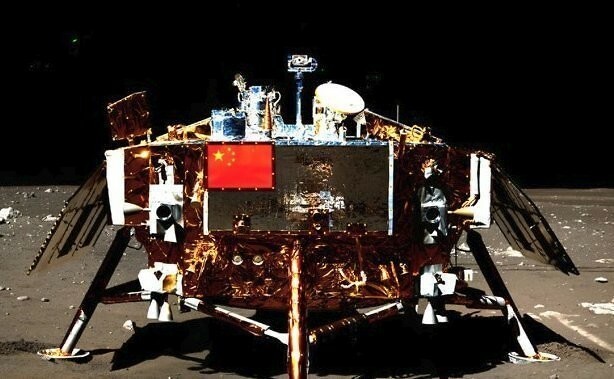 Having a Westerner working at the heart of China's space effort would have been unthinkable just a decade ago. It shows how much has changed since the cold-war era, when the US and the Soviet Union dominated the field. With key space players feeling the constraints of government budget cuts, alliances have become essential to keep programmes alive. By partnering up, China receives exposure to new technologies and different scientific thinking, and Europe can continue to send its astronauts into space after the end of the US space-shuttle programme. "First of all, you get to know each other, you have to see how the different approaches and mentalities work out," said Reiter, a former German astronaut. "But the talks are getting more and more into technical details." There is still a long way to go: Europe does not expect a joint flight before the end of this decade, about when China plans to have its space station completed. And for political reasons, it will likely be a while before an American astronaut climbs aboard a Shenzhou space capsule. "Scientists want to come to China because China offers them an opportunity to do something that nobody has done before," Falanga said. "Politicians should not stop them. They cannot stop them." The CAS recently invited scientists from around the world to submit research proposals for its space programme. The promise: The government would provide funding, rockets and satellites for the four top ideas. To allow Nasa scientists to take part, Falanga had to come up with some creative solutions. He succeeded - with ample funding from the CAS, ISSI Beijing has held international meetings, forums and workshops on a non-governmental platform. This has allowed foreign scientists to freely explore the topics they are interested in, without having to worry that their remarks might spark a diplomatic or legal wrangle, he said. However, such co-operation goes both ways. During the International Astronautical Congress, the ESA together with Russia invited China to consider conducting experiments aboard the International Space Station (ISS), which has previously been off-limits to Chinese researchers because of opposition by Washington. "Of course, such common research won't happen next year," Reiter said. Currently, the priority for Europe, Russia and China is to identify research areas that are interesting to the participating countries and which fit the tight scientific schedule of the ISS. Once they find common ground, Chinese researchers might act as a junior partner in one of the Russian or European labs, Reiter suggested. Chen Lan, editor of the Go Taikonauts online magazine, said: "I worry there may be some resistance [to the idea] inside the ESA due to pressure from its American partner." But Reiter said that so far, the United States had not discouraged Europe from drawing closer to China.